Available Colors: Silver, Blue, Red, Green, Purple or Black. Decoration Method: Laser Engraves White. For Black Oxidation Add 0.50 Per Piece. Shipping Weight: Cello Bag, 500 per carton @ 17 lbs. 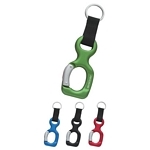 Customized Aluminum Bottle/Can Opener Key Ring Item #HT-2064 (Minimum Order: 300). 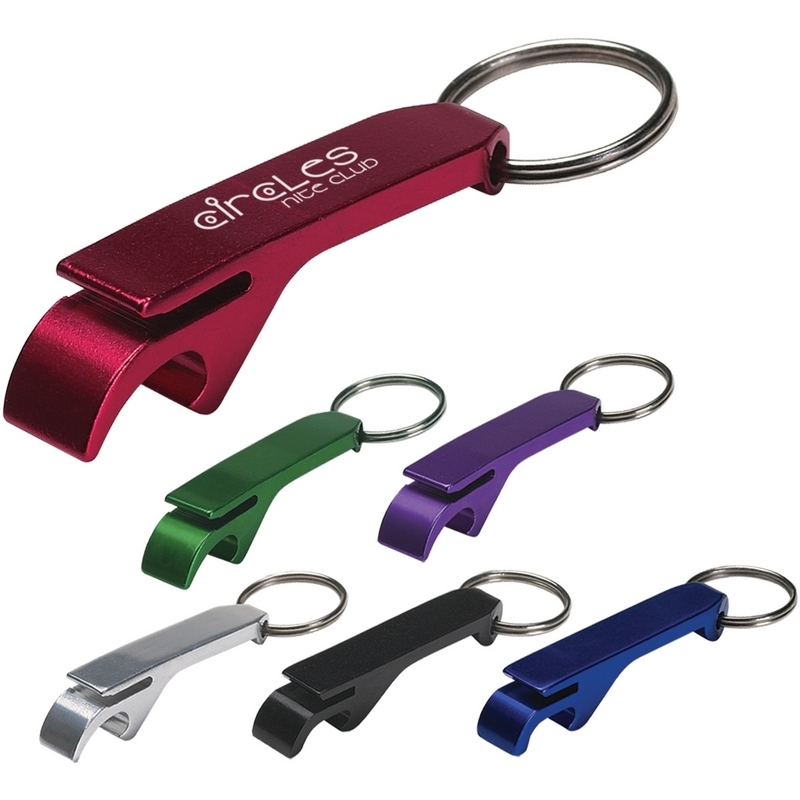 Promotional Key Chains like the Aluminum Bottle/Can Opener Key Ring can be personalized with your business logo and with No Setup Fees. They have good quality products and was pleased with the work on our business logo. Their service is quick and reliable. Would recommend them to anyone. Customer service was exceptional. I made a rush order and it arrived right on time. Product was better than expected especially at the price. Would recommend and will use again. 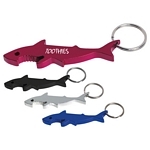 Customized Shark Bottle Opener Key Ring Item #HT-2066 (Minimum Order: 300). 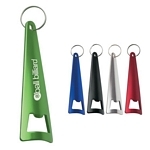 Promotional Key Chains like the Shark Bottle Opener Key Ring can be personalized with your business logo and with No Setup Fees.